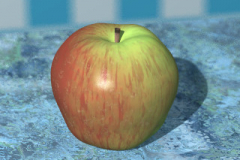 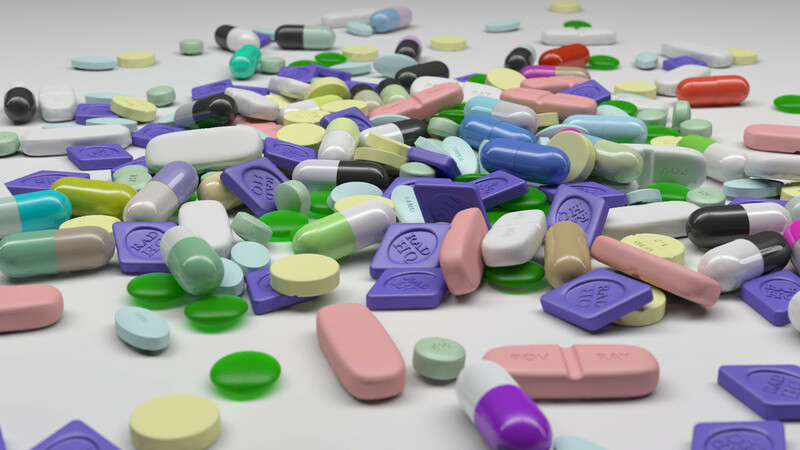 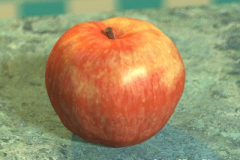 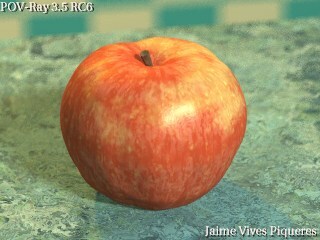 This a remake of my fruit texturing trick for Megapov, now translated to POV-Ray 3.5 syntax. 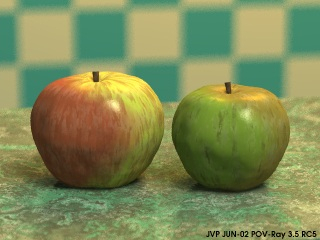 It was easy to change the use of reset_children for pigment_pattern… but I finally done a full rewrite (almost), to make it a bit more handy. Now, most things are defined externally to the tricky macro.